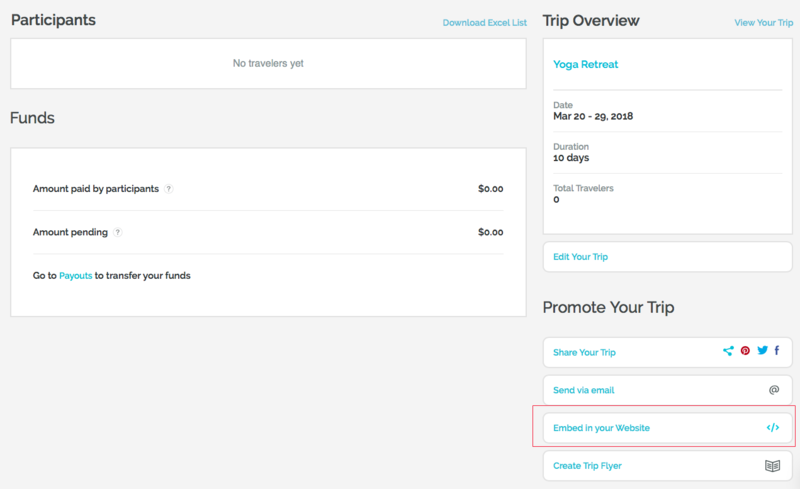 Our embedded trip widget shows a full overview of all of your public trips on WeTravel, which helps with keeping your branding more consistent! Please follow this short tutorial to embed an overview of your WeTravel trips with our All Trips widget into your website. 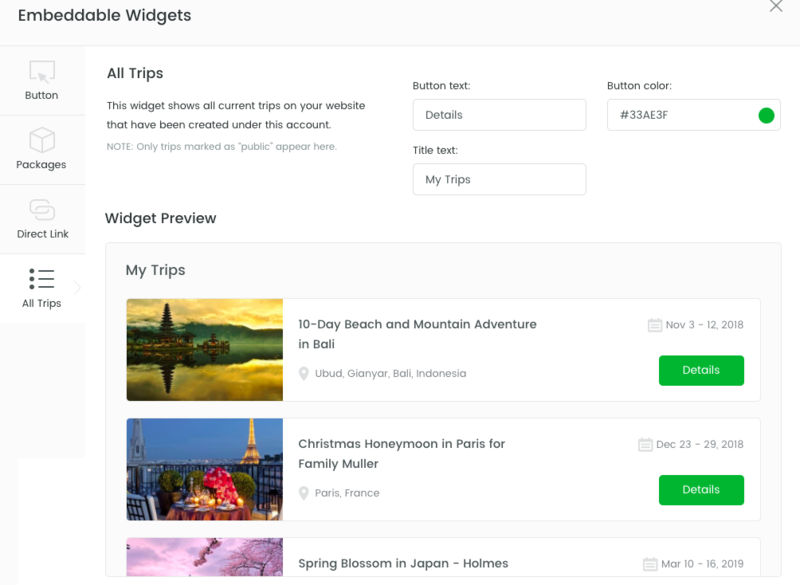 Here you can customize the text and color of the button and the title of the all trips widget. Copy the code by clicking on 'Copy HTML'. You can now paste that code into your website. It will create the exact all trips widget that you have just designed. Please note that only 'Public' trips will be shown here (your WeTravel Business company branding will remain even if you choose the trips to be public). 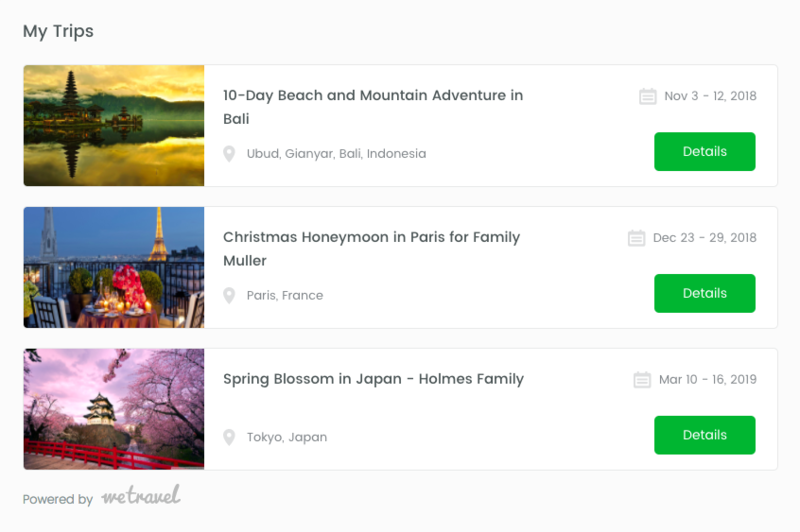 Clicking on the button will direct your clients to your trip page. 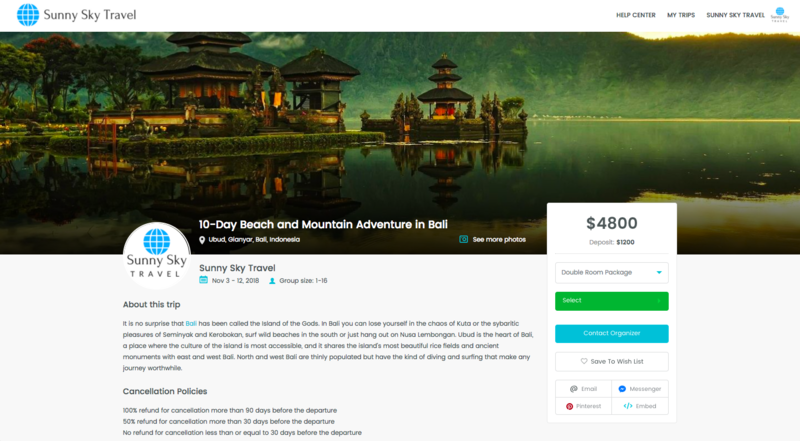 The WeTravel button works with custom websites, WordPress websites, Squarespace, Weebly and many other web platforms.